First of all, function of send later. 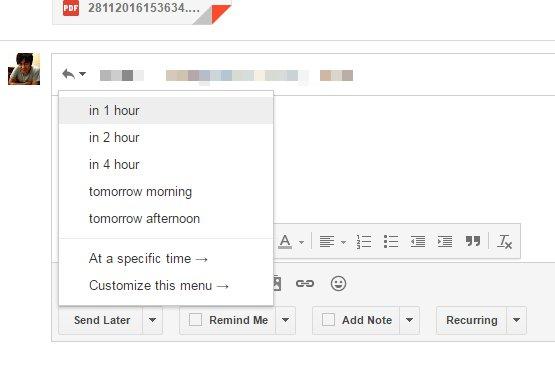 You can set time when you want to send an email, but I like to set 1 hour later. The buffer makes me release from stress. I get stress when I send an email in real time. I don't want to send email without the send later function. 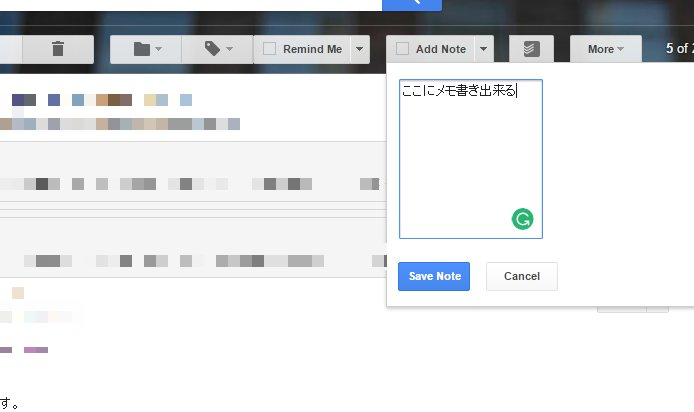 Second is the note function. I thought I don't need the note function, but it is quite handy to be able to write a note in the mail thread actually. It will be more powerful if you register the email thread to Todoist. My unarchived emails are registered to Todoist by going through Zapier. So I will never forget to follow up. Rightinbox is just an extension with Gmail, but I really love this service. I wish the send later function will be as an official function.